Superdry women's Core Gym Tech taped funnel hoodie. The perfect post workout cover up, this hoodie features a funnel hood, ventilation detailing under the arms and two front pockets. 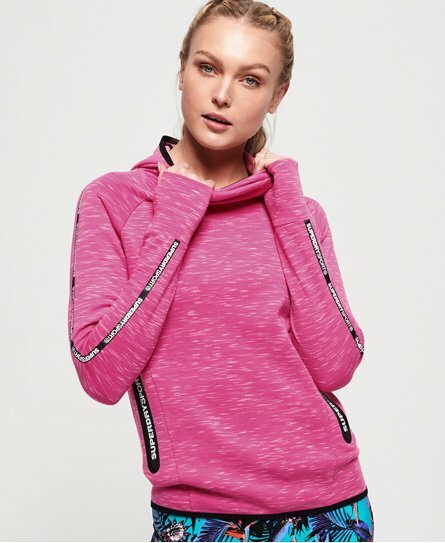 Crafted from a super soft fabric for your comfort, this hoodie is completed with Superdry Sport taping down the sleeves.